BALAD AIR BASE, Iraq — Now that Iraq has claimed victory over the Islamic State group after a bloody 3 1/2-year war, the U.S.-led coalition is decreasing air support in the country — the latest indication of the coalition’s shrinking footprint amid a drawdown of U.S. forces announced earlier this month. 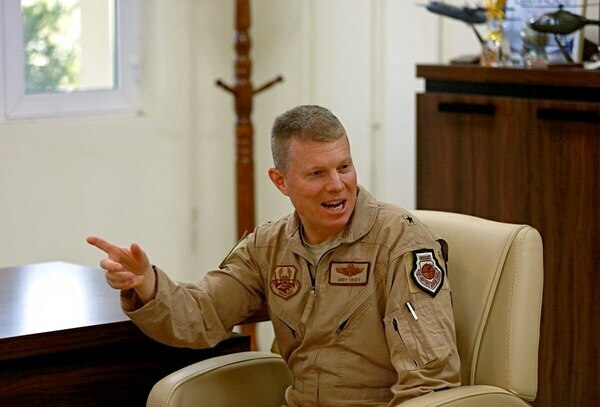 American and Iraqi air force commanders say the coalition will launch fewer airstrikes in support of Iraqi forces and instead focus more on training Iraqi airmen. Iraq’s air force will assume more of the “missions, duties and responsibilities” to maintain the country’s hard-fought victories over ISIS, according to a statement released by U.S. Air Forces Central Command. 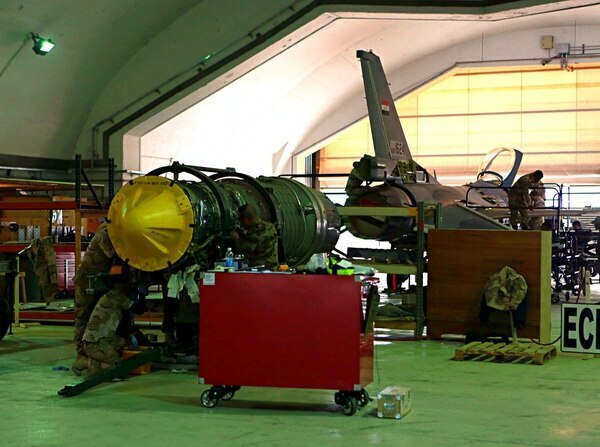 However, Iraq is struggling to fund the Air Force’s $1 billion budget as the country is faced with the enormous task of rebuilding in the wake of its military victories. At a conference in Kuwait this week, Iraq asked the international community for $88.2 billion dollars to fund post-ISIS reconstruction, but was only able to raise a portion of that. Up until now the U.S. Air Force had largely been supporting Iraq’s security forces by launching airstrikes against ISIS targets and supporting the country’s F-16 program. 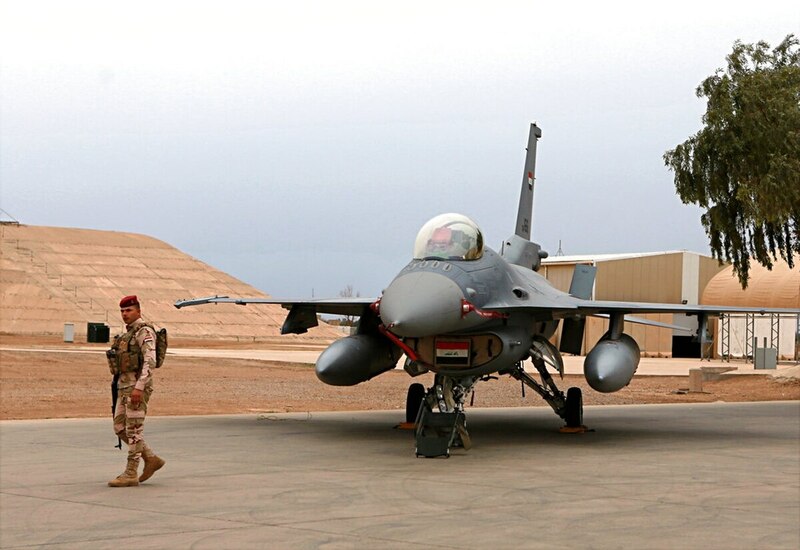 Currently, Iraqi F-16 pilots are trained in the U.S. and the maintenance and security of Iraq’s F-16s is largely carried out by American contractors. The announcement from the Air Force follows the announcement of a “shift in focus” from the U.S.-led coalition earlier this month after the Iraqi government said the U.S. had begun to reduce the number of American forces in Iraq. The U.S. is reducing the number of its troops in Iraq, but Iraqi and coalition officials say an agreement on the size of the force that will remain in the country has not yet been reached. The coalition will now focus on “policing, border control and military capacity building,” Brig. Gen. Jonathan Braga said in a written statement last week. “We will sustain the successful momentum and enhance the capacities of the Iraqi Security Forces in pursuing Daesh, now and in the future,” he added, using an Arabic acronym for ISIS. Coalition airstrikes proved to be decisive early on in the fight against ISIS and fueled Iraqi military victories throughout the more than three-year-long-campaign. Before the U.S. began a campaign of airstrikes against ISIS in August 2014, the extremists could easily travel across the vast swaths of territory — much of it open desert — under their control in Iraq and neighboring Syria. Just weeks after overrunning Mosul, ISIS fighters launched a push on the city of Irbil in Iraq’s Kurdish region that was largely repelled by coalition air power. In the months that followed, the extremists’ territorial gains were largely halted and over the next three years Iraqi ground forces with close coalition air support pushed ISIS out of towns, villages and cities across the country. In December 2017 Iraq’s prime minister declared victory over the group. Croft said a well trained and equipped Iraqi Air Force could have prevented the fall of Mosul. “If Iraq had a couple of airplanes and a couple of controllers, that would never have happened,” he said, referring to ISIS’ blitz across Iraq in the summer of 2014. However, maintaining a modern air force has been prohibitively expensive for Iraq. Last month, contracting firm Sallyport Global Holdings was awarded a $400 million contract for base operations and security for Iraq’s F-16 program by the U.S. Air Force. By training Iraqis to maintain and secure their own equipment, Iraqi air force commander Ameen said he hopes to bring down costs. “The big challenge for us right now is the budget,” he said. Iraq continues to struggle with a budget crisis sparked by a downturn in global oil prices and years of mismanagement of natural resource revenues. The enormous cost of rebuilding thousands of homes and swaths of infrastructure destroyed in the fight against ISIS is compounding Iraq’s economies woes.